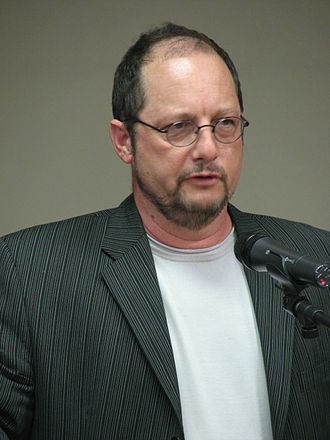 Over recent years, the name Bart Ehrman has become widely known…. He is perhaps the most prominent scholar challenging orthodox or traditional Christian understandings of early Christianity and the Bible, its initial formation, and the common belief systems that have grown out of it. As an aside: Many people, both Christian and non-Christian, do not realize what Ehrman himself often says – that he generally is only restating what many scholars have said before. But his books and lectures have reached a broad audience well beyond that served by most similar scholars in their various related specialties. This being the case, Ehrman has evoked more than one “response” book. In a way similar to his own approach, other more orthodox scholars have decided to try to set the record straight on many of his topics. You, as a blog reader, probably know that, along the way, some religion-oriented blogs have been discussing this back-and-forth argumentation around Ehrman’s work. One of them in particular, that takes a respectful and thoughtful approach, and with real depth, I participate on. It is NearEmmaus.wordpress.com. Here, a good number of us, mostly with some scholarly interests and/or credentials, have just been discussing the latest book by Ehrman, How Jesus Became God: The Exaltation of a Jewish Preacher from Galileeand a book responding to it, How God Became Jesus: The Real Origins of Belief in Jesus’ Divine Nature–A Response to Bart D. Ehrman by Richard Bird (and co-authors). Let me clarify that I have not read either book. But neither have most of the commenters on the recent threads about the two books, as they are being summarized on the blog by people who have read them. So this is not specifically a “book club” type discussion. Many related points are raised. I’ve decided that one subject on which I commented was appropriate to share here, revised a bit for context and clarity. The subject, changes in one’s own beliefs and the process involved, is one I’ve reflected on a lot and studied with high interest, partly because of my own experiences, but also because I believe everyone is “in the same boat” (of deciding and re-deciding what we think is real… what deserves our faith or lack of it, etc.). There is a large mix of many factors in anyone’s faith, whatever its specific object (Jesus, in Bird’s case), or in their lack of faith. (In Ehrman’s case, in any religious system or in God – he calls himself agnostic). Full disclosure: my own case is more similar to Ehrman’s than Bird’s, in its direction, although I still have a solid faith in a “process” kind of God. While my environment was not quite as “fundamentalist” as Ehrman’s, it was pretty close (in both church and Christian college, seminary, personal study, etc.). It included “Christian psychology” and professional counselor training and practice for over a decade (I know… a red flag to some, but pretty mainstream to most Christians, even Evangelicals). Through this, then further formal and much informal study of the Bible, ancient history, theology, sociology, etc., I eventually was compelled (against my earlier expectations) toward a much more middle-of-the-road kind of faith, accepting most of the historical observations and data conveyed by Ehrman (in numerous works), but with some differing conclusions than his are at this point…. That faith, which I consider in line with biblical narratives, though generally not with orthodox interpretations, remains agnostic about many things, including whether Jesus DID indeed claim either divinity or divine prerogatives, as Bird and orthodoxy claims. Agnostic also regarding in just what ways his disciples and early followers may have considered him divine. That’s why I’m thankful for BOTH Ehrman and Bird (and his co-authors)…. The issues are complex; and their oversimplification is one of our biggest problems because of the related misconceptions that it leads to or already surround it. This often leads to confusion and causes anxiety, for example about “salvation”. Ironically, confusion is more often found in the more observant and thoughtful of believers, not those of lower “brain power”. Would you be willing to share a bit of your own progression of faith (or “away from” faith, if you think of it that way)? If you haven’t done that somewhere, I’d encourage it strongly. Try to find a patient and non-judging “listening ear”. Or at least write your story for yourself, maybe a paragraph at a time… it will help you find greater clarity, and be something fascinating to look at again in 5, 10, 20 or more years. And let me know how it works for you. ← Less Religious, Less Churched, or Just What?